Senior Kasey Johnson played fiercely for the Cowgirls during the season before her injury. Photo by Jodie Woodward. It’s a high school athlete’s worst nightmare: just before they gear up for the upcoming season at the college of their dreams, they sustain an injury that changes everything. For Coppell High School seniors Phillip Ellis and Kasey Johnson, college dreams are being put on hold as injuries have slowed down their race to college level sports. Johnson’s torn ACL and Ellis’ torn Labrum have caused them to sit back and reevaluate their college plans. Midway through the Jan. 12 game against Midland, Ellis noticed a sharp pain in his shoulder, yet continued to power through the game. It was not until he visited athletic trainer Barry Jones after the game that Ellis realized the severity of his injury. Ellis had torn his labrum in his left shoulder. 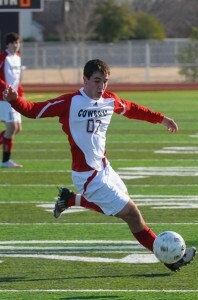 At this point, Ellis knew he wanted to follow his brother, 2009 CHS Graduate and forward JR Ellis’ footsteps and play soccer at St. Edwards University in Austin, but was not sure how his injury would change this plan. When Ellis received the news that he would need surgery for his torn labrum, he knew his college plans would be put on hold. The four to six month recovery associated with the surgery would almost guarantee that Phillip would redshirt his freshman year at St. Edwards. For the athletic training department, injuries like these are all too common. Jones has noticed that student-athletes always want to push the limits of their injuries. Ellis could not be more ready to get back to the team, especially to build up the strength and endurance he wants to have on his college team. “College soccer plays in the fall. If I got my surgery today and took six months to recovery, I would miss the majority of the season, so redshirting looked like my only option,” Ellis said. Fortunately his injury did not prevent the hard work went into each game that senior Phillip Ellis played this season. Photo courtesy Phillip Ellis. For now, Ellis must simply wait. As he struggles to find the balance between what he should and should not be doing in terms of working out, he keeps his eyes on the future in front of him and eagerly waits for the day that he will be out on the field again, this time at St. Edwards. 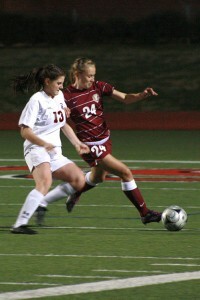 Johnson, a midfielder and forward, felt similarly as she suffered from a torn anterior cruciate ligament in her left knee in the Cowgirl’s first playoff game against Keller Central on Feb. 21. Despite her teammates’ attempt to convince her otherwise, Johnson knew the pain all too well, and immediately knew there was a long road ahead. Though most physicians recommend six months of recovery, Johnson is doing everything in her power to speed up the recovery. 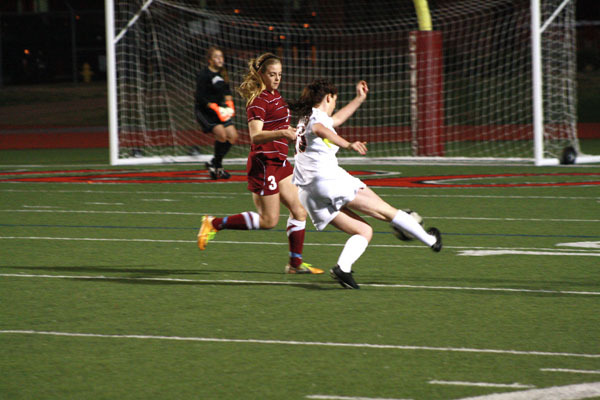 The last time she tore her ACL she was back on the field after five months. If she recovers in the same amount of time as a senior, she can join her team on the field in September. Coming to a commitment at Alabama-Birmingham did not come as easily to Johnson as committing at St. Edwards came to Ellis. In fact, as a junior Johnson was not even sure she wanted to play collegiate. At this point, there is not much Johnson or Ellis can do but wait for time to pass. Until then, they have the support of their trainers, coaches and teammates to help them through their injury and the long road to recovery.